We live in Ohio, where fall is focused on football. We have NFL teams here in Ohio, but it doesn't take long to realize that that real football team most sports fans follow is the Ohio State Buckeyes. When I made the Always a Buckeye quilt for the Price family, I had a lot of requests for additional Buckeye quilts. As a rule, I don't do quilts on commissions. There are many quilters who do, and I am happy to send them business. For me, quilting on a deadline or with expectation is stressful and takes the joy out of the art for me. My "to do queue" is more than a hundred quilts long so even though I make a lot of quilts, it may take quite for a quilt to make its way from idea to delivery. I like the freedom to work on whatever inspires me at the moment. It's fun for me to post sneak peeks of my quilts and have friends try to guess who the recipient might be. I sometimes joke with Niels about who might is "quilt worthy." If someone shows sincere appreciation for the quilts I made, there's a good chance that somewhere in the back of mind, I'm thinking of a quilt for them. The Kauffman family fit into this category. 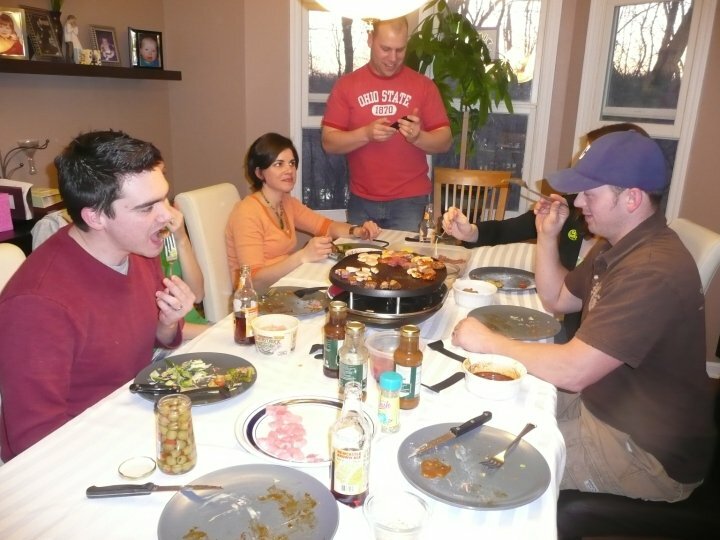 Niels and I met Matt and Jen Kauffman and their kiddos early in our marriage when we were in a small group together. It doesn't take much time with Matt and Jen before you learn of their love for the Buckeyes. For a few years I dabbled in craft shows to sell my fidget bracelets and a few other small quilted items. I made a couple of Ohio State baby quilts. 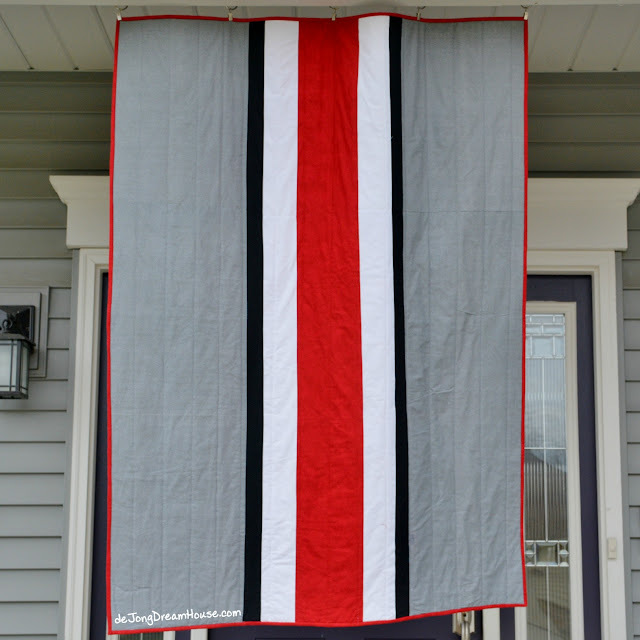 Since I had the fabric out and had the Buckeyes on my mind, I made a lap quilt for the Kauffmans. This is an easy quilt to assemble. 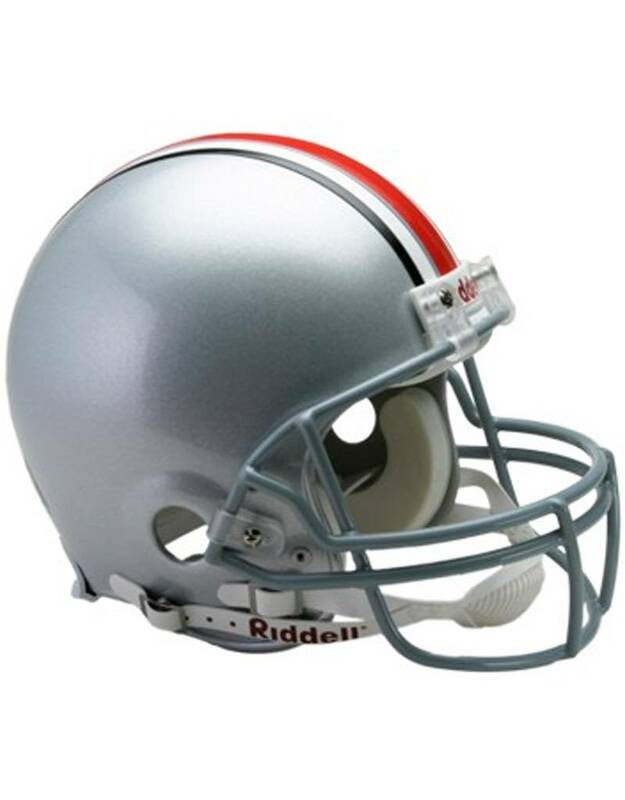 Thank you, Ohio State, for a simple helmet design! I used my Silhouette Cameo to make the Ohio-shaped label. I used a blanket stitch to attach the label. Even though it is reversed, I like the Ohio state outline it made on the front of the quilt. Wow - so much impact from such a simple design. I really love the two-for-one effect since you put such thouht into the back as well as the front! Simple design but so perfectn I call that success! Thanks for linking up to Wednesday Wait Loss. Wow, I really like the strong lines! It looks amazing! So striking! A great lesson in the power of simplicity!